Dynamic young conductor Leslie Dala opens Vancouver Opera's 2012/13 season with performances of Puccini's beloved La Bohème. Recently appointed as Music Director of Vancouver Bach Choir, in his first season with this established ensemble Maestro Dala conducted performances of Handel's Messiah, Rachmaninoff Vespers, and Berlioz' Damnation of Faust, starring John Relyea. Equally at home with symphonic music, opera and contemporary music, Leslie is steadily in demand across the country. In 2009, Leslie was chosen as Principal Conductor of theVancouver Academy of Music, and for eight seasons held the position of Music Director and Conductor of the Prince George Symphony, the longest-serving Music Director in the history of the organization. During his tenure, the orchestra presented several premieres of newly-commissioned works and gave many performances of important 20th Century works. As Associate Conductor and Chorus Master of the Vancouver Opera, Leslie has prepared over fifty main stage productions and conducted the company premiere of Kurt Weill's Threepenny Opera and performances of Rigoletto. Leslie has collaborated with the UBC Opera Ensemble for several seasons in productions of Cosi fan Tutte, La Bohème, Die Fledermaus, Don Giovanni, The Magic Flute, HMS Pinafore, and the popular "Merry Evening of Opera" concerts presented by the Bard on the Beach Festival. In 2012, Leslie conducted Suor Angelica for the Centre for Opera Studies in Italy. At the prestigious Santa Fe Opera Festival, Leslie Dala was the cover conductor for the world premiere of Lewis Spratlan's opera Life is a Dream where he also covered Kaija Saariaho'sAdriana Mater, served as music staff on Verdi's Falstaff, and covered Gluck's Alceste starring Christine Brewer. Previously held positions for this versatile conductor include Music Director of Les Jeunes Voix du Rhin, in Strasbourg, France and the Opera as Theatre program at Banff Centre, where he conducted John Estacio's Lilian Alling. 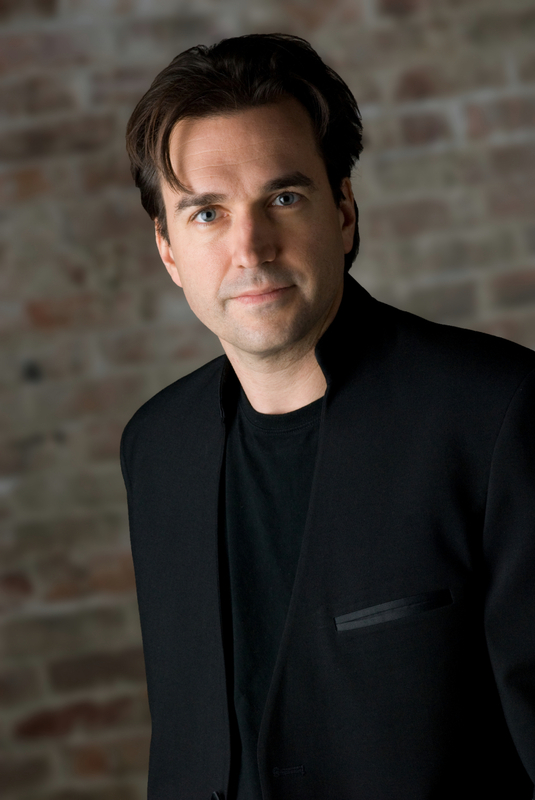 He has worked with the Canadian Opera Company, Edmonton Opera, Soundstreams Canada, Tapestry New Opera,Vancouver New Music and the Okanagan Vocal Arts Festival. An avid performer of contemporary music, Leslie has recorded three dramatic works by Canadian composer Harry Somers, including Death of Enkidu starring tenor David Pomeroy for Centrediscs, and worked with all of the leading contemporary music ensembles in Vancouver, including the Hard Rubber Orchestra, Standing Wave and the Turning Point Ensemble. Guest conducting appearances include The Nutcracker with Vancouver Opera Orchestra for Goh Ballet, and Ottawa's Thirteen Strings Chamber Orchestra. For Musicfest Vancouver, Leslie led the Vancouver Symphony Orchestra with superstar Sarah McLachlan as well as "The Gershwin Experience" with Soprano Sylvia McNair, pianist Stephen Cole and the VSO. In 2012/13, Leslie Dala looks forward to leading the Canadian premiere of John Adams' "El Niño" with Vancouver Bach Choir and Vancouver Symphony, his debut with Pacific Opera Victoria for Britten's comic gem Albert Herring, as well as performances of The Magic Flutewith Vancouver Opera.